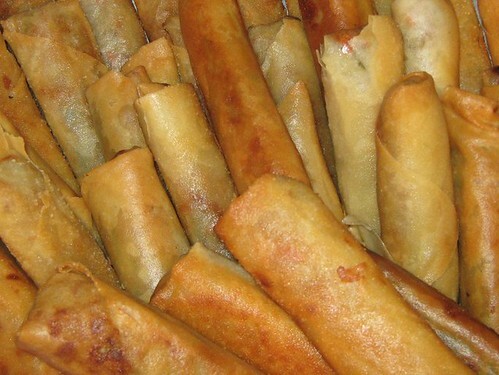 Lumpia is one of the most popular traditional Filipino dishes in the Philippines. Usually we prepare this kind of food during parties and you can made this in advance, frozen and fried just before being served. You can also keep lumpia in the freezer not only for parties but just in case you have a visitors unexpectedly you can easily serve them quickly. Most people love to eat fried lumpia with their fingers or wrap them in a napkin and dip in a sauce like catsup. Eating lumpia is a great fun and once you taste it you really love it.